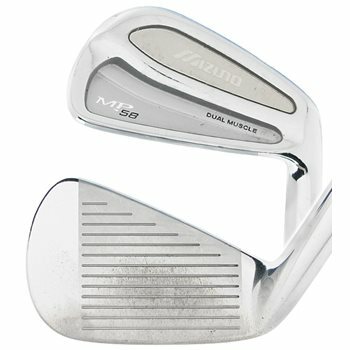 The Mizuno MP-58 irons features a dual muscle cavity back and the revolutionary Muscle Titanium technology which combines forged steel and titanium to combine during the Grain Flow Forging process to deliver amazing feel and playability. It allows for more perimeter weighting for more forgiveness without giving up feel or consistency. The durable double-nickel chrome plating provides a classic look.